Lancashire's borders encompass a great swathe of land, which includes the charms of Georgian Lancaster, and seaside dame, Blackpool. It also edges right up close to the Lake District, so it isn't short on natural wonders either. The range of choices when it comes to choosing the best places to stay in Lancashire's smaller towns and villages is just as broad. There are good options for walkers, and those wanting to explore the region's historic highlights, but there are also great boltholes to escape to. Lancaster's grand castle is a beacon, reminding us of this county's link with the monarchy, but these days Lancaster is more university city than seat of kings. Just outside the city are the deep valleys and heather moorlands of the Forest of Bowland, part of the Pennines and a designated Area of Outstanding Natural Beauty. The Forest is popular with walkers and anglers especially. If you're interested in discovering more about Lancashire's history you'll probably want to visit Clitheroe Castle, the ruins of Sawley Abbey and the Judge's Lodgings, once the home of witch-hunter Thomas Covell, who 'caught' the Pendle Witches. The Lancashire coast has been a popular holiday destination since Victorian times, when Blackpool was queen of the seaside resorts. The pier, tower, ballroom, 16 hectare Pleasure Beach and the annual illuminations still draw a crowd. If Blackpool's not your cup of tea, head further north to Fleetwood and Morecambe. Wander around the historic Samlesbury Hall, originally built in 1325. This stunning stately home includes galleries showcasing some of Lancashire's best art as well as a menagerie full of friendly animals. Head off on a guided tour to learn all about the gritty details of the place's past. If you fancy a fun family day out then be sure to go to the Turbary Woods Owl and Bird of Prey Sanctuary, home to over 80 birds. Join in with the flying demonstrations and have the birds land on your gloved hand. Their highly informative staff will help answer any question you might have about the birds or the sight's conservation efforts. Bring along a picnic and spend the afternoon at Blackpool's Stanley Park. This beautiful 265 acre spot offers a variety of ornamental gardens, natural woodlands and lakes as well as there being an Art Deco cafe and Blackpool Model Village. Blackpool Zoo is home to over 1,000 animals, birds and reptiles. Listen to the informative talks and learn all about the different species, whilst you can also get up and close with orangutans in the gorilla enclosure. Our selection of the best places to stay in Lancashire cover most bases from family friendly seaside haunts to pubs with rooms to charming B&Bs. There truly is something for all tastes and budgets. Penny Street Bridge occupies a lovely listed building right in the heart of the town. 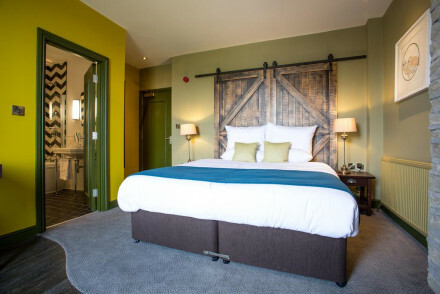 The rooms are crisp, modern and neutral, the bar and restaurant are popular with locals, and the 28 rooms start from just £85 per night. The Ashton is an exquisite Georgian manor house turned B&B, only five minutes from the centre of Lancaster. There are just five, carefully styled rooms in this romantic and intimate bolthole. The Midland Hotel is a fabulous seaside Art Deco icon in Morecambe, with the Lake District fells in the background and the great open expanse of Morecambe Bay in front. 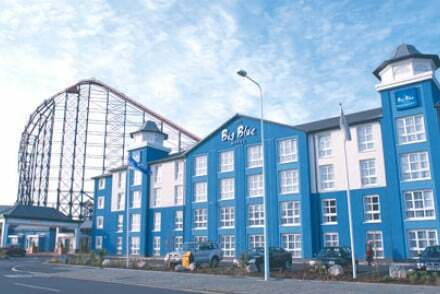 The Big Blue Hotel is situated right next to Blackpool's Pleasure Beach. Very child friendly, but also surprisingly chic, considering its 157 rooms start from just £55 per night. If you're looking for something a bit more boutique on the coast, try Number One South Beach, which has a range of uniquely decorated rooms and sweeping views over the beach. 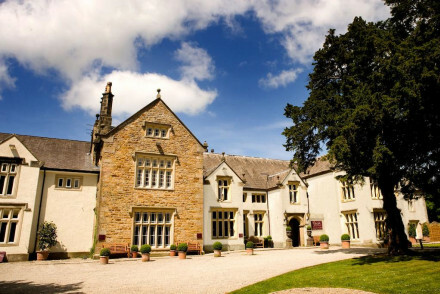 Hipping Hall Hotel is a traditional farmhouse crossed with a roadside inn, just 20 minutes from the Lake District. The excellent restaurant makes this more of a restaurant with rooms - six inside the house and three cottages in the garden. The Spread Eagle near Clitheroe is a bright and stylish pub right on the river in the pretty Ribble Valley. There are seven rooms, popular with walkers because it's right on the edge of the Yorkshire Dales with glorious views of the Pendle Hills. Northcote is a real foodie delight offering Michelin starred cooking with produce sourced locally - if not direct from the garden. The hotel itself was converted from an imposing Victorian manor house, and the decor is plush but masculine. 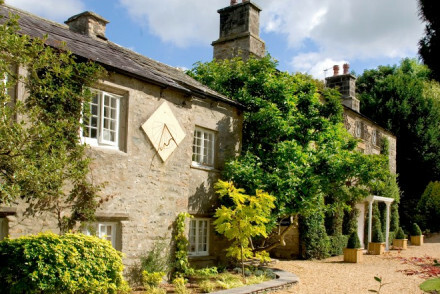 The Inn at Whitewell is in a picturesque village in the heart of the Forest of Bowland. This 23 room inn has been in the family for three generations now, and the family's taste for unusual and beautiful antiques has not faltered. 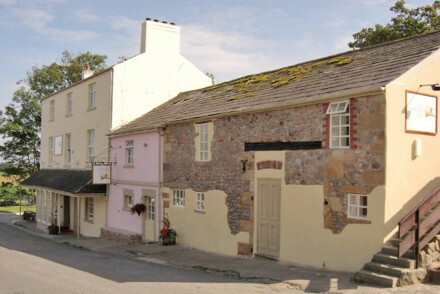 The Cartford Inn is a fabulous 17th Century coaching inn on the River Wyre. As well as plenty of charm, this property has outstandingly beautiful views. 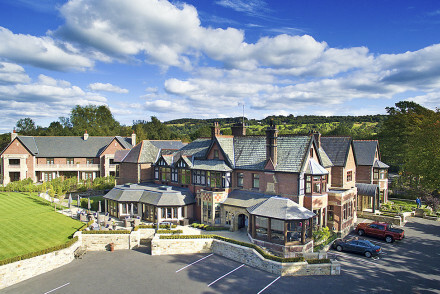 Millstone At Mellor is a charming coaching inn set amidst beautiful countryside. It offers cosy, country chic accommodation and an award-winning restaurant specialising in local produce. Surrounded by a number of fantastic walking trails. Lancashire never experiences extremely severe weather, so you can visit year round. That said, the weather's definitely at its nicest in the summer months (with July and August recording an average temperature of around 14°C). Visitors can fly into Manchester Airport, which is around an hour's drive to the south of the county. There are a number of flights daily from London, Edinburgh and Glasgow. From here, you can either hop on a train to Manchester Picadilly Train Station, and subsequently towards your destination, or take a bus from the airport to wherever you're going. If you're travelling from within the UK taking the train may be your best bet. Virgin offer direct trains from London Euston station to Lancaster on the West Coast mainline. Browse through our list of all the best places to stay in Lancashire. Consult our Guru's list of the best places to stay in Manchester. Widen the net and check out our recommendations in the Lake District. 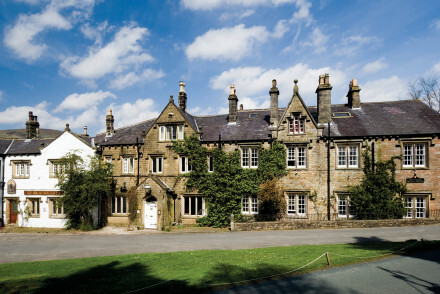 An antique-filled inn; full of character, on the Duchy of Lancaster Estate in the Forest of Bowland. Fine gardens, fishing available, child friendly and dogs welcome too. Charming. Great walks - In the forest of Bowland. 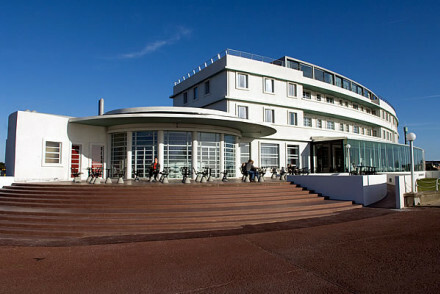 Big, blue and family-friendly modern luxury hotel situated next to Blackpool's pleasure beach. Designers Guild fabrics and thoughtful interior design give it a twist. Ideal for families who want a bit of contemporary comfort, in a good location. 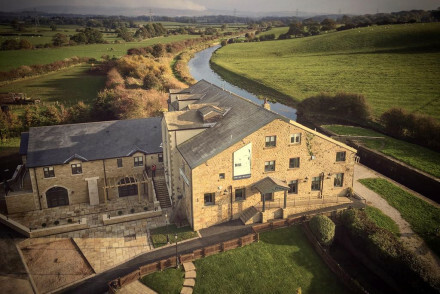 A converted mill boasting panoramic views across the picturesque Lancashire countryside. Individually styled rooms mix contemporary and traditional styles with wooden floors, patterned wallpaper and minimalist furniture. Housing a Lancashire inspired restaurant and cosy bar. Charming. Country Escape - Located in glorious countryside and housing a cosy restaurant and bar to return to after a day in the outdoors. Sights nearby - Explore Lancaster Castle, famous for the 1612 witch trials. Classic coaching inn on the edge of the Ribble Valley. 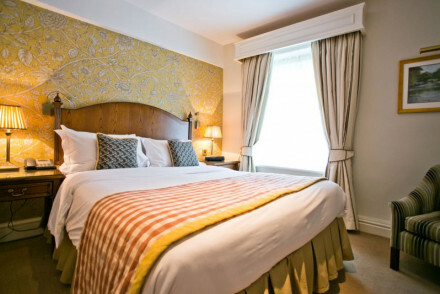 Bedrooms are characterful and cosy and the award winning restaurant serves delicious food using local produce. Relax in the comfortable sitting room and enjoy some of the finest ales, all set amid beautiful countryside. Great walks - Great walks through the rural Lancashire countryside. Local markets - Explore the market towns of Clitheroe and Longridge. Sights nearby - Visit Clitheroe Castle and museum. 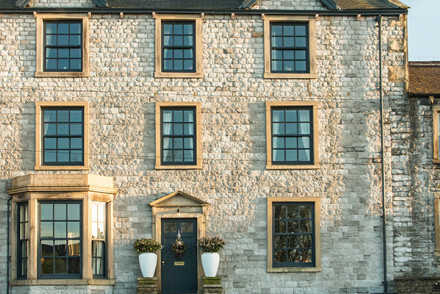 A luxury B&B located in the charming village of Gisburn. Beautifully designed rooms maintain the building's original charm yet the furnishings are contemporary and unfussy. Downstairs there's an elegant fire-lit lounge and indulgent breakfasts are served in the dining room by the ever-warm hosts. Great walks - Take scenic rambles through Gisburne Park’s 1000 acres of rolling English countryside. Sights nearby - Visit Clitheroe Castle, reputed to be the smallest Norman Castle in England. Local markets - Scour the Skipton market for local produce and vintage goods. Historic pub-hotel in the heart of Lancaster. A locally-inspired menu in the restaurant, fantastic bar and a wide choice of rooms. The historic architecture and interior remain with stained-glass windows and ornate plasterwork. Lancaster Castle is located nearby. Ideal for explorers & foodies. Local exploring - Lots to see in the area including the fantastic Lancaster Castle. Great walks - Just minutes from Williamson Park which has lots of walking trails. 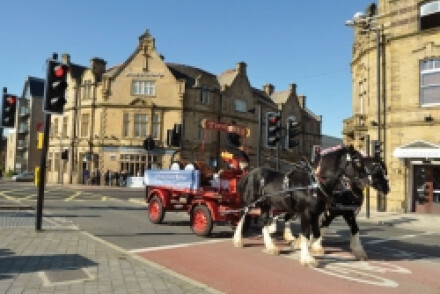 Sights nearby - Located just 700 yards from the magnificent Lancaster Castle. 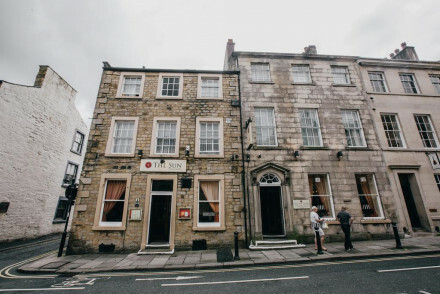 The Sun, Lancaster's only 4* hotel, is centrally located on Church Street. Boasts comfortable and airy boutique rooms as well as a lovely summer courtyard-the perfect spot to relax in with a drink. Their atmospheric stone-walled bar serves up delicious food. 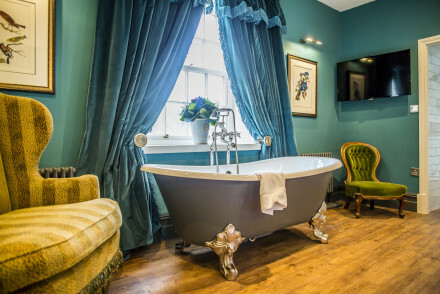 A cosy, charming and upmarket stay! Great walks - Wander around town getting a feel for the place or head off hiking around the area! 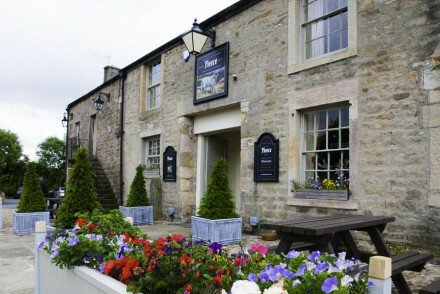 Stylish, comfortable and quaint inn located in bustling market town of Ramsbottom. Boasting a multi-award winning pub, large home-grown allotment and an atmospheric bar, this is a 'must-visit' for foodies. Also perfect for nature-lovers seeking beautiful walks and hikes in surrounding hills. 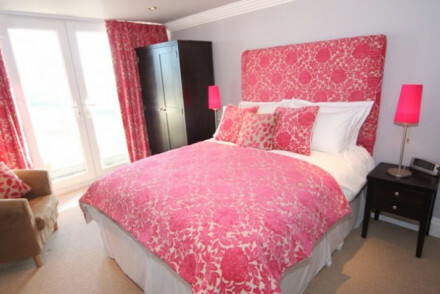 Value chic - Superb accommodation with prices from as little as £75 per night including breakfast! 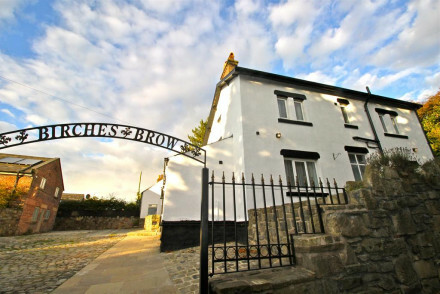 A boutique property located just outside of Liverpool. Contemporary rooms are light and spacious. Plump for a suite with indulgent free-standing bath. Delightful breakfasts are served and the service is warm and friendly. Perfectly positioned to access both the city and countryside. Country Escape - A rural haven just ten miles north of Liverpool city centre. Great walks - Take long walks in the surrounding countryside. 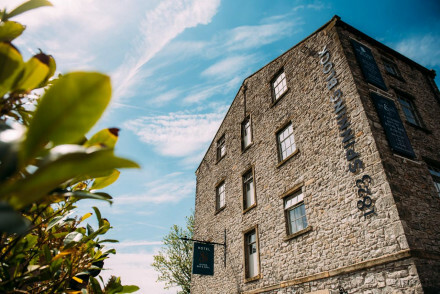 A hip hotel forming part of an exciting Victorian mill conversion project housing a brewery, food hall, beer hall and restaurant. Interiors are industrial-chic featuring original mill machinery, exposed beams and distressed paint finishes, while stylish rooms are cosy with fitted carpets and throws. 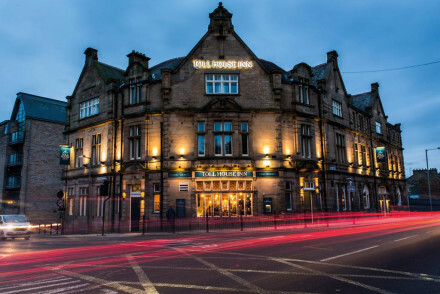 Brilliant new town hotel in a listed building - with lively and popular bar and restaurant right in the middle of town. Stylish, crisp rooms, hearty breakfasts and great value. Riverside pub/restaurant in a great position in the Ribble Valley, with a small number of bright, stylish rooms. Popular with locals and walkers. Great food and views. Great walks - On the edge of the Yorkshire Dales. Views - Glorious views of the Pendle Hills. A luxury B&B with a renowned steak restaurant. Eight cosy and colourful rooms as well as exciting glamping yurts. Original flagstone floors and oak beams plus a roaring fire in the bar combines to create an idyllic English Inn experience. Spectacular views and hiking opportunities at hand. Full of character - Original oak beams and flagstone floors. Renovated 18th-century coaching inn with an award-winning restaurant serving iconic British and European food. Each room is fitted with an en-suite and free wifi. Fireplaces and original oak beams throughout. Ideal for a country-escape and walkers drawn to the Yorkshire Dales and Forest of Bowland. Great walks - Both the Yorkshire Dales and the Forest of Bowland are a 30-minute drive away. Sights nearby - The iconic Lancaster Castle is a short drive away. Fabulous Art Deco classic seaside hotel brought back from the dead and transmogrofied into a chic, sleek, ocean liner of a hotel. Sweeping seaviews, stunning suites and a spa. Plus Morecombe to explore. 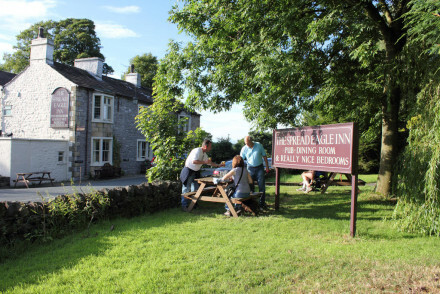 A traditional country pub set in beautiful walking country. Simply dressed rooms are light and airy with modern bathrooms and soft hues. The restaurant, specialising in seafood, serves exemplary pub fare. Warm service and an idyllic location makes this the perfect weekend getaway. Country Escape - A cosy pub surrounded by excellent walking country and serving fantastic hearty food. Great walks - Enjoy some of the most remote walks in the English countryside. 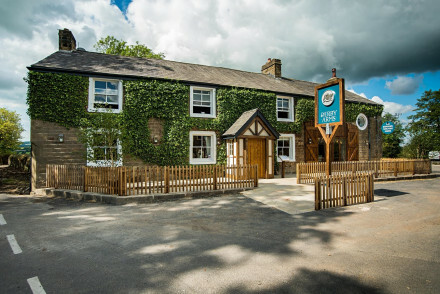 Sophisticated boutique inn set in idyllic village of Bolton-by-Bowland in the heart of English countryside. Its pub-food restaurant, in-house brewery and large beer garden create a lively atmosphere. 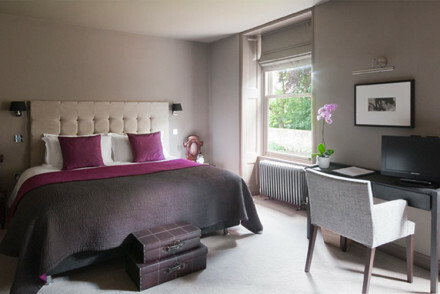 Spacious and individually designed en-suite bedrooms give this country retreat a stylish touch. 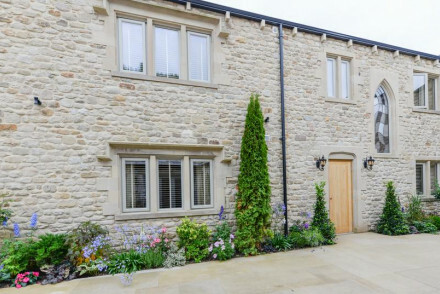 A striking country house which has been artfully refurbished throughout. Simply designed rooms are light and airy with feature wallpaper, antique furniture and contemporary bathrooms. Grand reception rooms offer themselves perfectly for weddings and events. An elegant rural escape. Weddings - Well versed in weddings, the staff are willing and able to help you plan your big day. Country Escape - A luxurious country house set in picturesque countryside. Sights nearby - Visit the Norman Keep at the nearby market town of Clitheroe. A fabulous 17th century coaching inn with funky bedrooms and excellent food, on the River Wyre. Book the spectacular penthouse suite with roof terrace. Cosy in winter, a garden in summer. Views - Stunning views of the Wyre and surrounding countryside. Exquisite Georgian manor house turned luxury boutique B&B, 5 minutes from the centre of Lancaster. Chic styling and exceptional attention to detail make for a romantic bolthole, a different kind of business crashpad, and the perfect stopover en route north. The Assheton Arms is located in the rural village of Downham and boasts smart boutique accommodation with spacious bathrooms, all with a rustic chic vibe including some original beams. You'll love the cuisine - especially the delectable seafood dishes! A great spot for foodies and couples alike. A stylish small hotel opened by the owner of the nearby Fence Gate Inn. Chic rooms are individually designed with bold patterns, smart marble bathrooms and the best have roll-top baths. 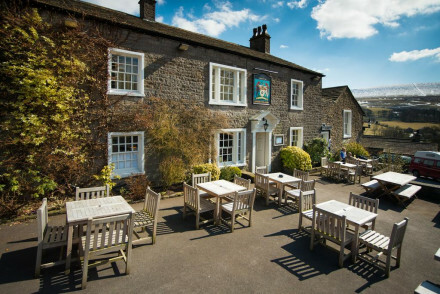 Feast on excellent pub food at the adjoining inn and spend days exploring the picturesque Pendle countryside. 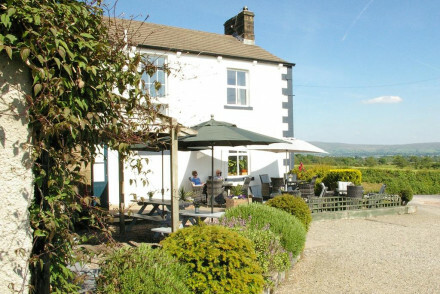 Local exploring - A charming base to explore Pendle’s idyllic countryside. Great walks - Take long walks through the scenic surrounding countryside. Sights nearby - Take a tour of the striking National Trust Gawthorpe Hall. Equidistant from the Lake District and the Yorkshire Dales, Hipping Hall makes a great spot to rest ones head after countryside rambling and local exploring. Sleeping in slick, crisp rooms and with a memorable dining experience - its a great find for all. Total relaxation - An ideal spot to recharge and refresh, with deep soaking tubs, spa treatments, magnificant scenery and immpecable service. Foodies - The hotel's restaurant serves up mouthwatering, award winning cuisine, in a spectacular setting- foodie heaven! Great walks - Whether is be the Yorkshire Dales or the Lake District, there is much countryside to cover. Sights nearby - Nearby Wordsworth’s Dove Cottage is a great afternoon trip. A real foodie delight in an impeccably run Victorian manor hotel. Interiors are dark and masculine. Michelin starred cooking with organic produce from the garden. Restaurant - Michelin starred cooking. Views - Overlooking the Ribble Valley.